Helen E. Quist, 93, of Ironstone St., Millville, died December 2, 2018 in Beaumont Nursing Center, Northbridge. A lifelong resident of Millville, MA, she was the daughter of the late John E. and Esther (Peterson) Quist. In her early years, she worked in various area mills. She then was a homemaker and caretaker to both her late mother and brother. 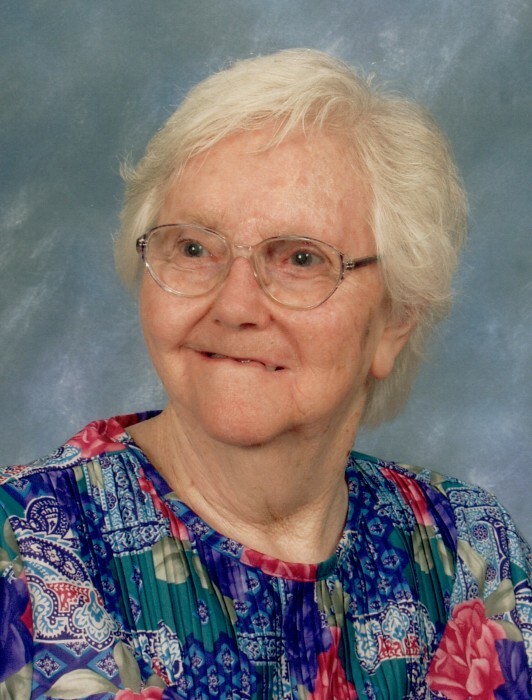 Helen was a member of St. Mark Lutheran Church, Woonsocket, and enjoyed attending the Millville Senior Center for many years. She is survived by her nephew, Glenn Strojny and his wife Marie of Cotuit, MA; as well as two great-nephews, Josh Strojny of Pawtucket and Jonathan Strojny of Woonsocket. She was the sister of the late Gilbert Quist and aunt of the late Jeff Strojny. Her funeral will be held Saturday, December 8, 2018 beginning with visitation from 9 – 10:30 AM in the Holt Funeral Home, 510 South Main St., Woonsocket, followed by a funeral service at 11 AM in St. Mark Lutheran Church, 871 Harris Ave., Woonsocket. Burial will follow in Union Cemetery, Smithfield Rd., North Smithfield. In lieu of flowers, memorial contributions may be made to St. Mark Lutheran Church.